Allen Hal Turnage was born January 3rd, 1891. 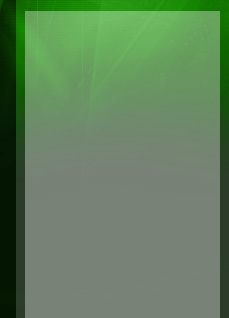 He grew up in Farmville, North Carolina, a miniscule town in the East of the state. After receiving instructions at the Horner military academy, Turnage pursued his education at the University of North Carolina, and got additional training through the Marine Officers School. In 1913, almost immediately after wrapping up these scholastic and military learning endeavors, Turnage became a Second Lieutenant of the Marine Corps. He was assigned to serving in Haiti as a part of the 2nd Marine Regiment, which proved to be an opportunity for him to prove his strength as a leader, elevating him to the rank of a company commander of the Haitian Gendarmerie after 3 years of combat. The quickly rising general secured the position of captain by 1917, at which point he led the 5th Marine Brigade Machine Gun Battalion. 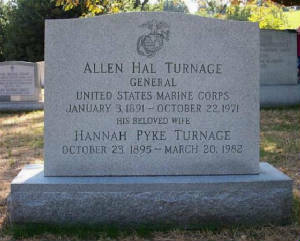 Upon returning home, Allen H. Turnage was assigned to the preparation of Marines at a Virginia Field Officer school. His other involvements in the interwar period include commanding battleships in Pacific fleets and marine forces in Northern China. Despite this important background and multitude of World War I achievements, Turnage’s role in World War II is far more emphasized in historical accounts of his life. 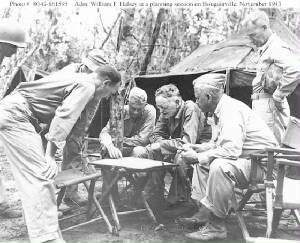 Once the war began, Turnage relocated from his control of Base Camp Lejeune. 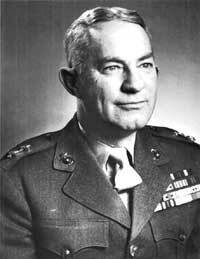 By 1943, Major General Turnage was appointed assistant commander of the newly established 3rd Marine Division. This group would go on to Bougainville, landing in Empress Augusta Bay, and contributing to Allied victory. Turnage would acquire several high caliber awards for his leadership in these offensives. The hugely pivotal recovery of Guam essentially marked the end of his dramatic positive influence on the Marine Corps, and after commanding several Pacific fleets in 1946 his occupation came to a close. Turnage died October 22nd, 1971, with four stars to credit his military career. The major general’s grave can be found among many other prestigious army figures in Arlington National Cemetery. Post-war: Assistant Commandant. 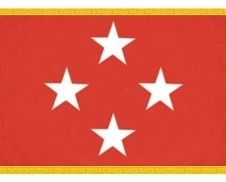 Lieutenant General.